A tough course with plenty of water hazards ! A challenging golf course requiring accuracy from the tee. A pleasant 9-hole golf course. A fair and well maintained 18-hole course. Its extraordinary design makes it challenging. One of the longest golf course in Europe ! 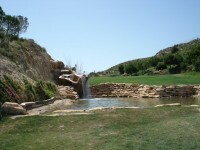 A top quality championship golf course designed by Jose Gancedo ! 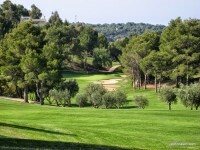 Three 18-hole golf courses offering unique challenges in quiet surroundings with wonderful views. 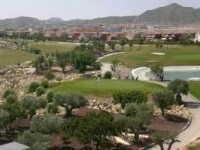 An undulating 18-hole course designed by Severiano Ballesteros ! An exceptional 27-hole golf course designed by Jose Maria Olazabal ! A short 18-hole golf course designed by Nicklaus Design ! An ideal golf course designed by Dave Thomas and Jack Nicklaus ! An 18-hole golf course inaugurated in 1988. A 9-hole golf course that can be played at night. One of the best golf courses in Spain ! Discover the most beautiful golf destinations in Europe. Play the best courses in Portugal around Faro and Lisbon. Find the best brands of golf clubs. Test the new clubs advised by MyCaddyMaster during your golf breaks.